LED Upgrade System - Zakłady Artystyczne ART Sp z o.o. Reliable critical colour decisions with excellent spectral characteristics of the new JUST LED moduLight. This luminaire has a more harmonious and complete light spectrum than even our ISO-spec fluorescent lamps. The result is natural colour representation – consistent for years, without annual relamping! 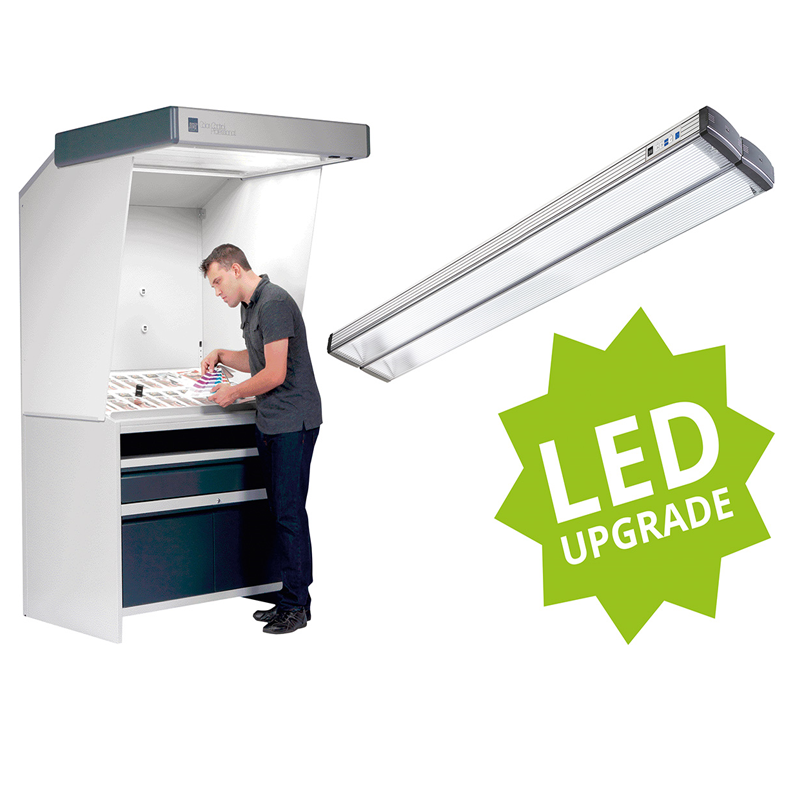 The LED Upgrade System is available for a variety of colour matching stations. The LED Upgrade System consists of the original JUST LED moduLight lamp including mounting. With a few simple steps you can upgrade your existing colour proofing station. Available for Color proofStations, Virtual proofStations and proofStation 20 or 22 (SP) built from 2004. Zakłady Artystyczne ART Sp z o.o.